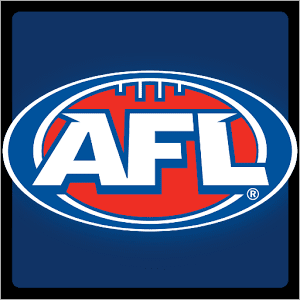 THE first of three bye weeks in the AFL saw only six matches across the weekend of football, but that did not put a damper on the action, with several tightly-contested games. The Pies solidified their position in the top four, the Power’s premiership aspirations lie in tatters and the Swans continue to go from strength to strength. Let’s take a look at the moments that mattered and the market implications. What happened to the AFL betting markets in round 11? The round kicked off on Friday night with Geelong stunning the Power under lights at Adelaide Oval to the tune of 29 points. The game was a titanic struggle for three quarters, with neither team able to gain the ascendancy on the scoreboard, but the Cats seemed to have the Power rattled, with their usual run-and-gun style stifled on the back of a brilliant performance from 299 game veteran Corey Enright. The win leaves the Cats level on points with Richmond who sit in eighth position on the ladder. Geelong next plays Melbourne at Etihad Stadium while the Tigers play host to the high-flying Eagles, in all likelihood, the two teams will swap positions by the end of round 12. The $1.45 on offer from Sportsbet for the Cats to make the final eight looks like a sound bet, with the Cats starting to hit top gear. The loss leaves the Power in the precarious position of 10th, a game and percentage outside the finals race with their bye to come. Port have the worst percentage of the teams placed first to tenth, and unless they are able to make a dramatic turnaround, look likely to miss the finals after being one of the pre-season fancies. 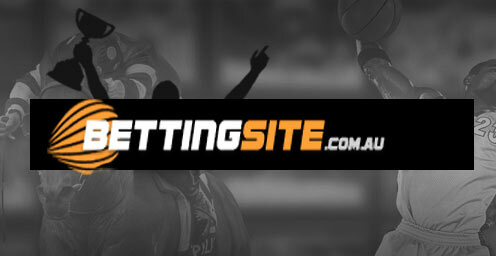 Port are currently listed at $1.55 with Sportsbet to miss the top eight. The Saturday slog in the wet between the Suns and the Dockers will not go down as one of the best games of the season, but it will certainly be remembered as a thriller with the Dockers just prevailing by seven points. Both teams combined totals failed to reach 100 points in the brutal encounter, where the wasteful Dockers were almost left to rue their sloppiness in front of goal, kicking a dismal 17 behinds. Amazingly, the Suns kicked more goals in the match than their counterparts. Fremantle were again led superbly by sublime superstar Nat Fyfe, who amassed 31 touches – 21 of which were contested – 11 clearances and a third of his team’s goals; an effort that is certain to gain him another three votes in the Brownlow. Fyfe has moved even further into outright favourite for the Brownlow, coming in as short as $1.70 for the medal with William Hill. A more lucrative market for punters to look at is whether or not Fyfe will garner 35 or more votes over the course of the season. Sportsbet currently have odds of $2.10 for Fyfe to match or surpass the 35 vote mark. Saturday night at Etihad Stadium was the venue for the Swans and the Kangaroos, with Sydney withstanding a second half surge from the Roos to secure a 16 point win and cement their position inside the top-two. The Swans led the game from start to finish, and were able to get the margin out past six goals in the second and third quarter, only for North Melbourne to rally back but ultimately fall short. Lance Franklin was again prolific for his side, booting four goals, including the game sealer late in the last quarter from outside 50. The game-high goal tally moved the man they call ‘Buddy’ into outright second on the Coleman medal leader board, nine majors behind league leader; West Coast’s Josh Kennedy. Sportsbet’s quote of $4 represents fantastic value for Franklin who has won the medal on three separate occasions already. The match that was billed as the game of the round, Collingwood and GWS did not exactly pan out as planned, with the Pies dismantling an injury rattled Giants outfit, running away 42 point winners. Both teams played an attacking brand of football for the first half, with the Giants matching their opponents for two quarters, but eventually succumbed to a spate of injuries, including potentially long-term afflictions to key defenders Phil Davis and Joel Patfull. The loss of the two key posts was pivotal in the match, as it allowed key forward Travis Cloke to exploit the inexperienced and undersized Matthew Buntine, who has only played a handful of games at senior level. Cloke ended the match with five goals and was among Collingwood’s best for the day. It was another sparkling performance from Collingwood captain Scott Pendlebury, who one of his side’s best on the day. The Pies’ skipper is at $15 via William Hill to win the Brownlow medal, which looms as an astute each-way bet given Pendlebury’s capacity to amass votes. Several causalities coming out of Friday night’s clash, with both sides feeling the effects of a brutal encounter. Geelong’s victory came at a cost with emerging ruckman Rhys Stanley and veteran on-baller James Kelly both set to miss at least a month of football after sustaining ankle and foot injuries respectively. Kelly left the game early in the piece after twisting his ankle under and opponent, while Stanley was benched late in the third after dominating the game. Port Adelaide speedster Matthew White is likely to spend the next month on the sidelines after severely straining his hamstring. The Power will look to take a conservative approach with White who has missed significant chunks of football throughout his career with soft tissue issues. The Giants are set to be without a host of stars for this week’s crunch game with North Melbourne, most significantly defenders Joel Patfull and Phil Davis. Davis sustained an ankle injury midway through Sunday’s loss to the Pies and will miss at least a month of football, while Patfull is set to spend a similar amount of time off the park after injuring two ribs and puncturing a lung after a nasty collision with a teammate. Steven Coniglio and Shane Mumford are also in doubt for the match against the Roos, after Coniglio strained his AC joint, while Mumford rolled his ankle late in Sunday’s loss.